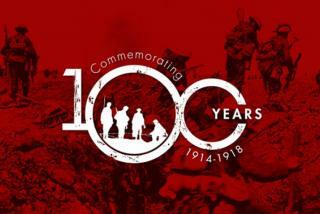 Event: "Armistice Day 100 Year Commemorative Mission"
This Sunday, 11-Nov-2018, marks the centenary of the end of the First World War. To commemorate this significant moment of history, there will be a special Rise of Flight event to mark the occasion. Throughout the day, RoF pilots will be joining the servers to fly again in memory of the past. And, in particular, between 1800-21:30 UTC/GMT, there shall be an Armistice Day 100 Year Commemorative Mission, covering the entire war, at the conclusion of which there will be a large mixed-formation flight. The commemorative mission will take place on the Cuban Syndicate Vintage Mission server. If ever there is a day to fly Rise of Flight... this is it! A very decorous and respectful event, well-attended, and a fitting end to the centenary event.